In the Main Menu, click Setup, Program Links. Double-click on DBSWin from www.duerruk.com. DBSWin is digital imaging software. Website: http://www.airtechniques.com/product/dbswin-imaging-software/. Verify the Text file path Value. 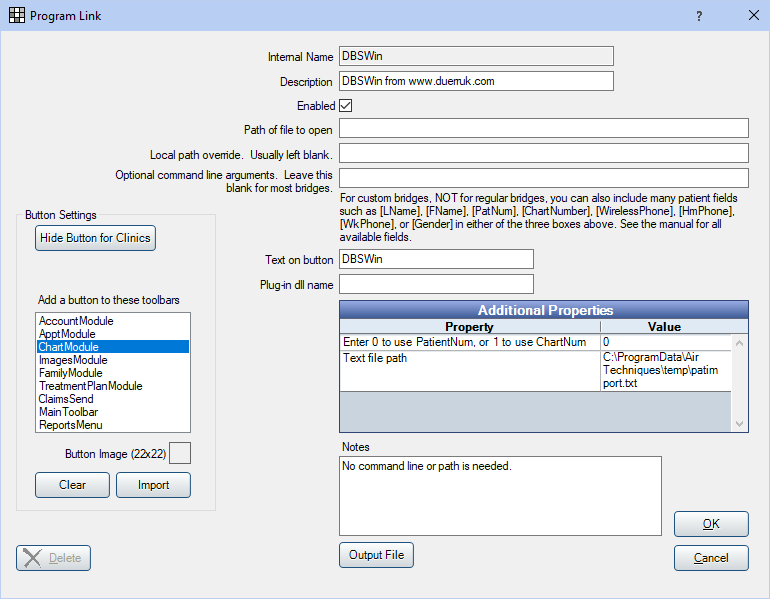 If you experience any file errors using this bridge, try running Open Dental and/or DBSWin as an administrator.